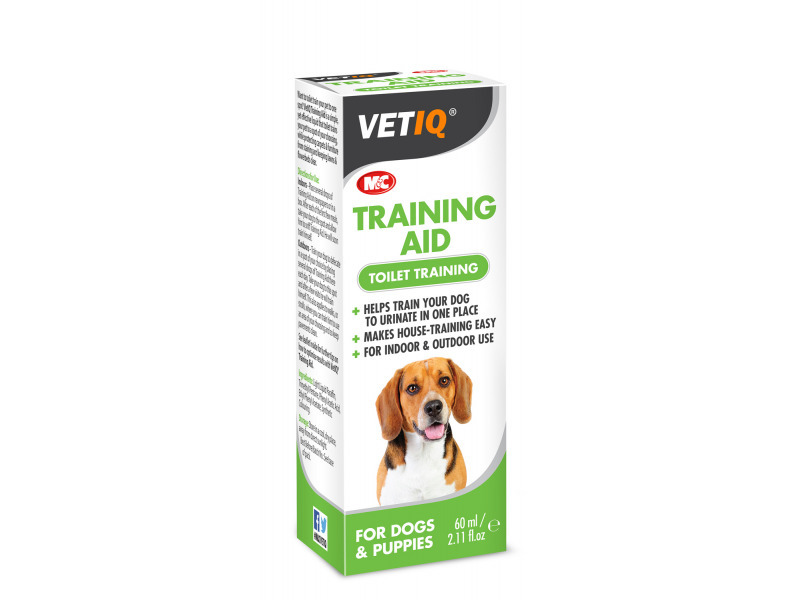 VetIQ Training Aid is a simple, yet effective liquid that toilet-trains your pet to a spot of your choosing, while protecting carpets and furniture from staining and keeping lawns and flowerbeds clear. 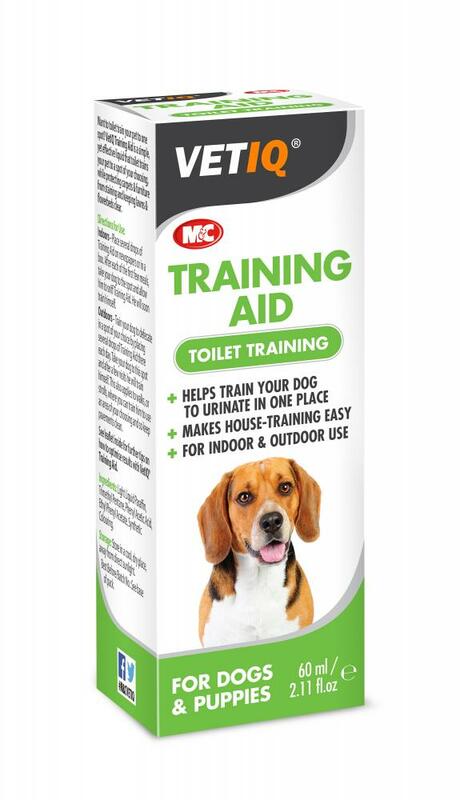 Training Aid is suitable for puppies that are finding it difficult to learn where they need to toilet. Training Aid is an oil based liquid that is composed of oil plus fatty acids to duplicate the smell of a sexual hormone that attracts dogs. The hormone is known as pheromone and that is what the dog is seeking when he goes sniffing looking for a placed to “go”. Light liquid paraffin, Trimethyl pentante, phenyl acetic acid, Eithyl Phenyl Acetate, Synthetic colouring. Indoors - Place several drops of Training Aid on newspapers or in a box. After each of the first few meals, take your dog to the spot and allow him to sniff Training Aid. He will soon train himself. Outdoors - Train your dog to defecate in a spot of your choice by placing several drops of Training Aid there each day. Take your dog to this spot and after a few visits he will train himself. This also applies to walks, or strolls, where you can train him to use an area of your choosing and so keep pavements clean. There are currently no questions for VETIQ Training Aid (Formerly Train-UM) - be the first to ask one!